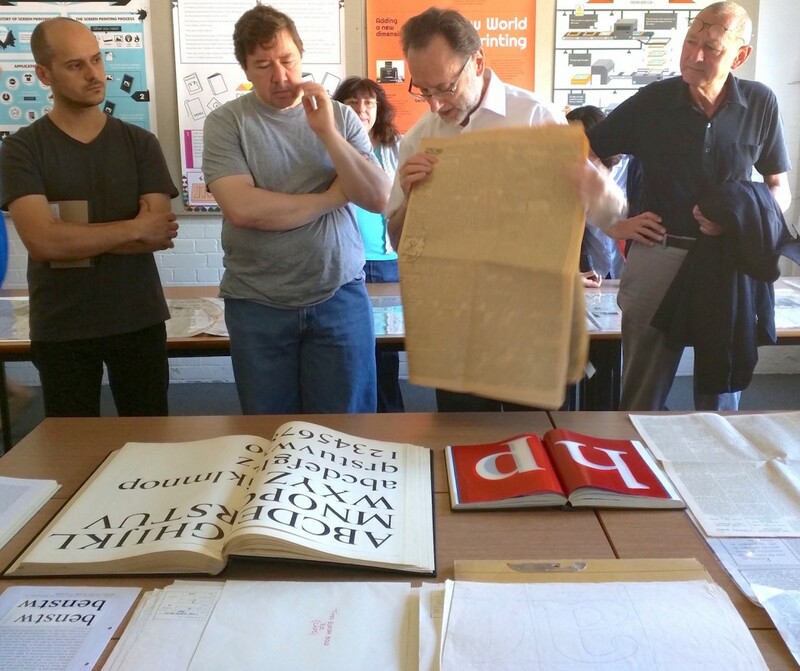 When the TDi summer course in typeface design ran for the first time, there were few opportunities for people with a requirement to develop their understanding of the emerging discipline. 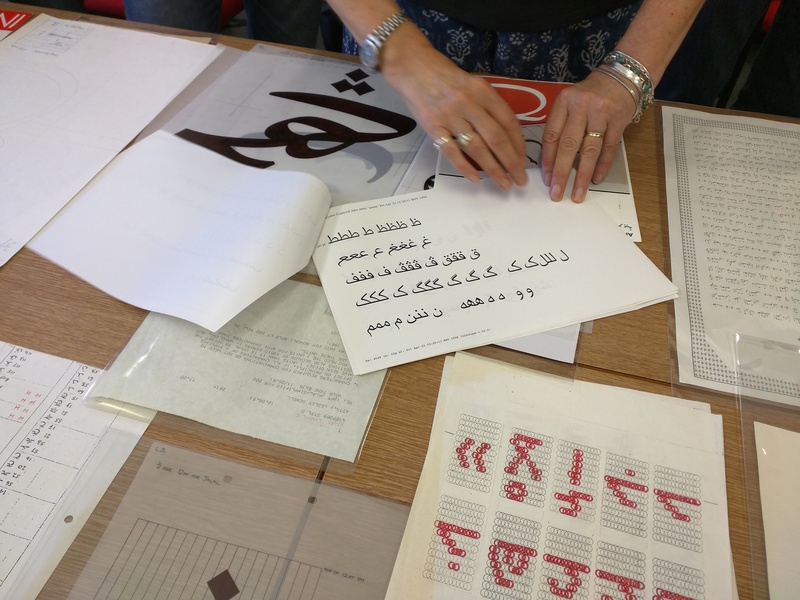 Seven years on, there are many short courses focusing on typeface design and typography, but still none that can match the TDi’s approach of immersing participants in learning through direct engagement with archival material. Gerry Leonidas explains the tension between designers and makers to Mohammad Sharaf, Sascha Brawer, and Arianna Tilche. The TDi’s model of placing the development of practical skills within the historical context in an intensely hands-on manner has proven especially successful with experienced professionals, educators, and researchers from related fields. This combination of expertise and unique materials that underpin enlightening narratives is instrumental to the course’s continued success. Eric Kindel discusses modularity with Craig Eliason, with Irmi Wachendorff, Alan Qualtrough, and Rui Abreu. 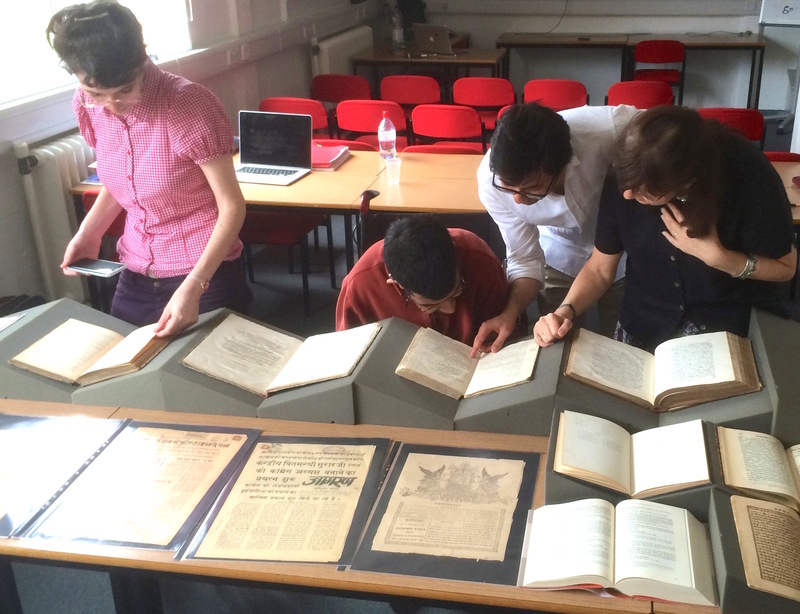 Using materials from the Department’s Collections & Archives, and research collections built up over the years by staff, enables rapid learning that is both detailed and deep. 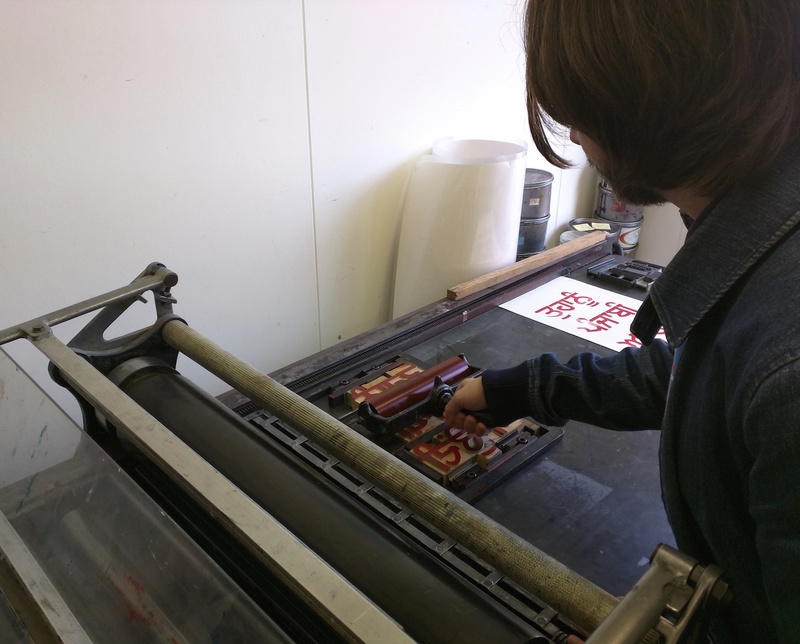 Experiencing original materials enables participants to discuss materiality, the conditions of making, the technologies surrounding type-making and typesetting, and the distribution of objects in a much more revealing and memorable way. Looking at several objects in parallel enables comparisons that are simply impossible to conduct effectively through reproductions in print or screen. Fiona Ross comments on items from Vaibhav Singh’s collection to Siva Kalyan, with Stav Axenfeld. Original materials are particularly helpful when staff work with participants who may have considerable expertise in tangential fields, but not in typography. 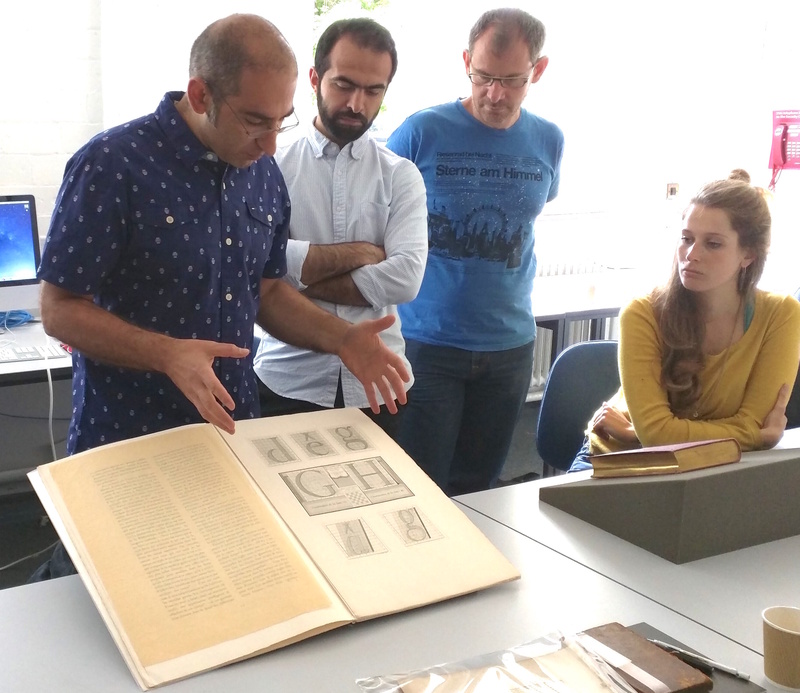 In these cases, the archival material makes all the difference: many participants lack the fundamental education in typographic design, but have highly developed skills in other fields. The immediacy and depth of comparisons we can make wit real objects allows TDi staff to construct narratives that help participants make connections between their fields and typography, and engage at a fairly high level of discussion. 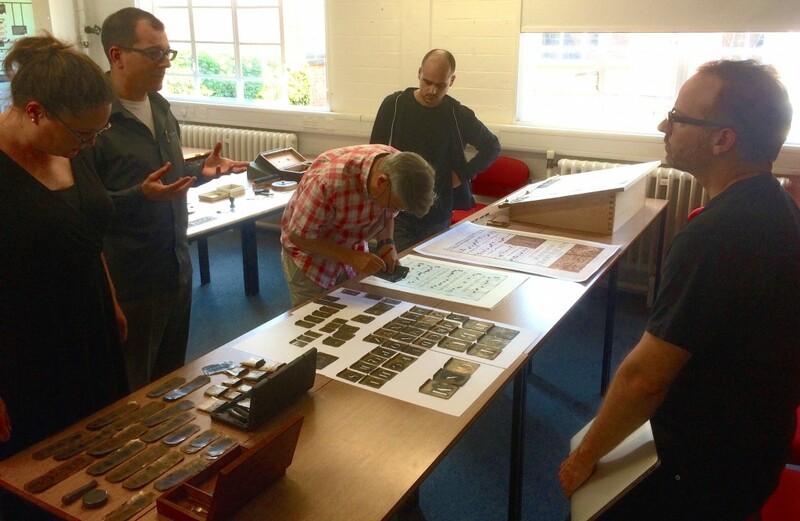 Paul Luna discusses dense text typesetting with Rui Abreu, Stuart Gill, and Walter Bohatsch. The approach exemplified by the TDi is not unique to typeface design: any discipline with a rich, interdisciplinary background benefits from narratives that reveal the connections between context, decisions, and users through the output of these interactions. The interest of educators who have participated, including some with leadership responsibilities, is an encouraging confirmation of the transferability of the approach. On the other hand, the material collections themselves tend to be unique or extremely challenging to build from scratch, underlining Reading’s unique advantage. Noel Pretorius inks up Devanagari wooden type, used to explain challenges in complex typesetting. Another area where teaching with original material can make the difference is with groups with very different language levels. Running a seminar with a set of images necessarily relies on deeper, more complex verbal explanations, since flat projections do not reveal the salient points in an object. Using the original material allows participants to understand both the context and the key elements in an object, and thus construct meaningful narratives with more concise descriptions that utilise interactive archival sessions. The value of this approach is recognised increasingly, as the breadth of participants on our courses expands into regions without traditions of strong language skills. Our experience shows that sessions capitalise on participants’ native critical thinking and learning skills, in a way that that attenuates the impact of the lack of confidence in English. 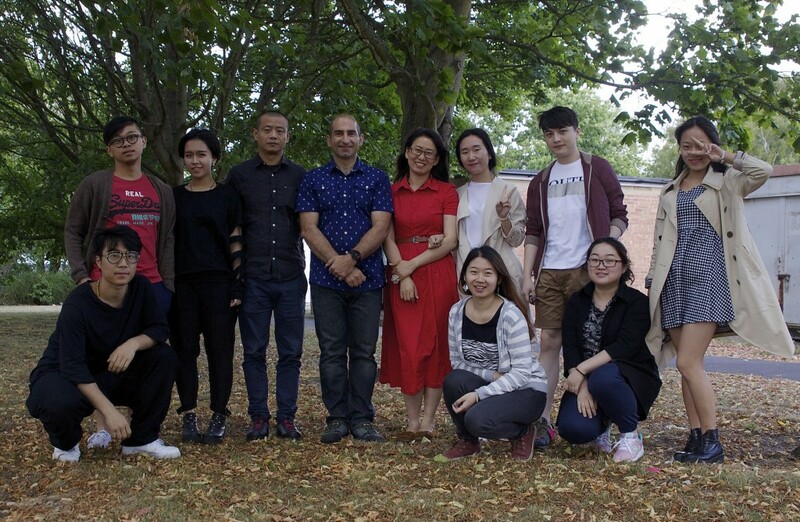 A very happy group from the Central Academy of Fine Arts, and the Shandong University of Art & Design, at the end of a course on typeface design full of unique objects. This entry was posted in Uncategorized and tagged short course, TDi, typeface design. Bookmark the permalink.